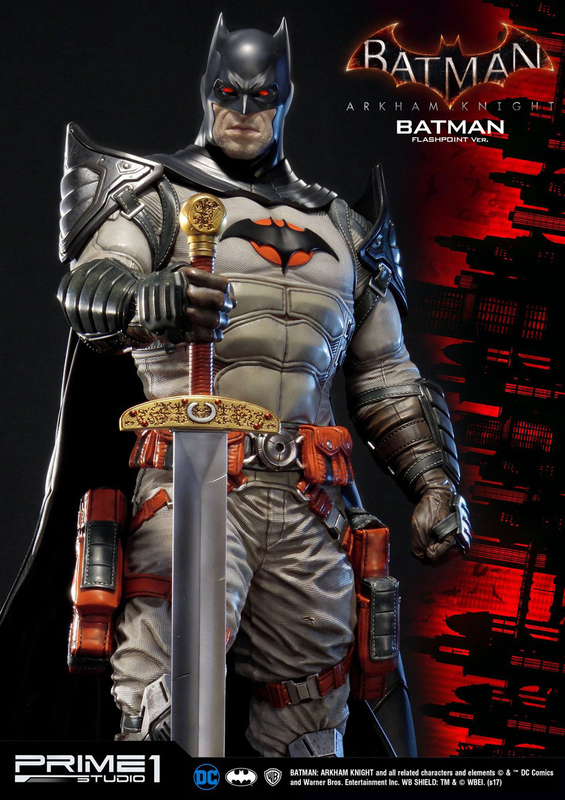 Holy variant, Batman! 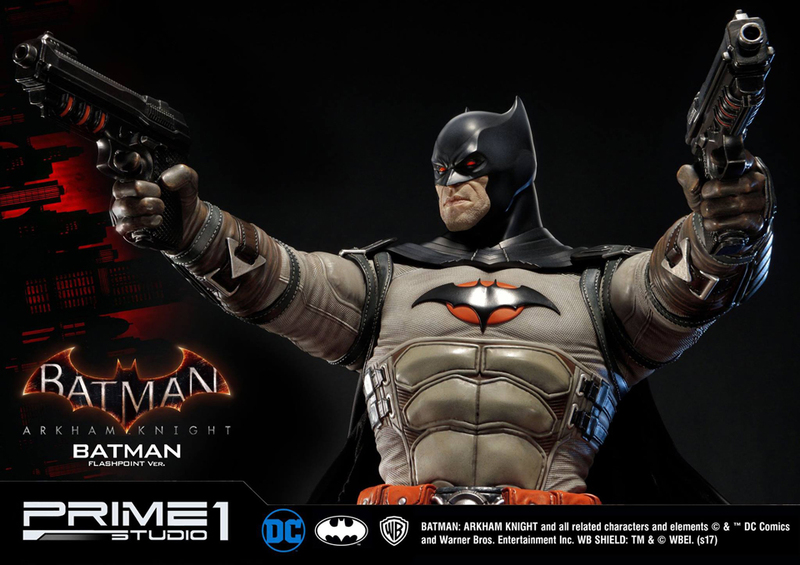 Prime 1 Studio is just showing off now. 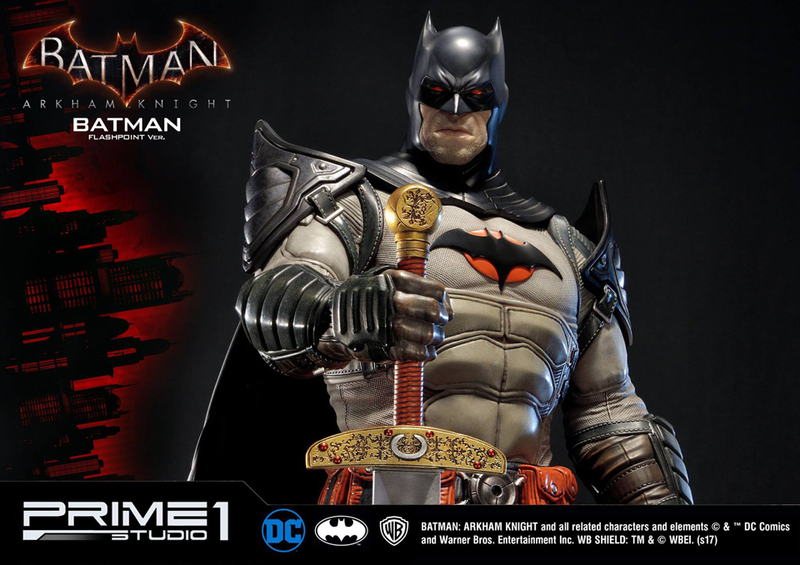 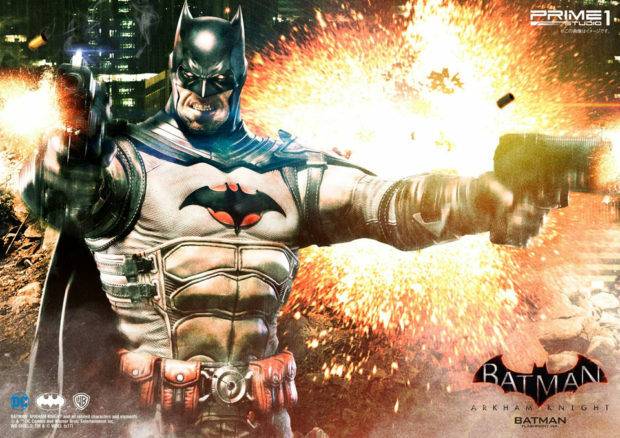 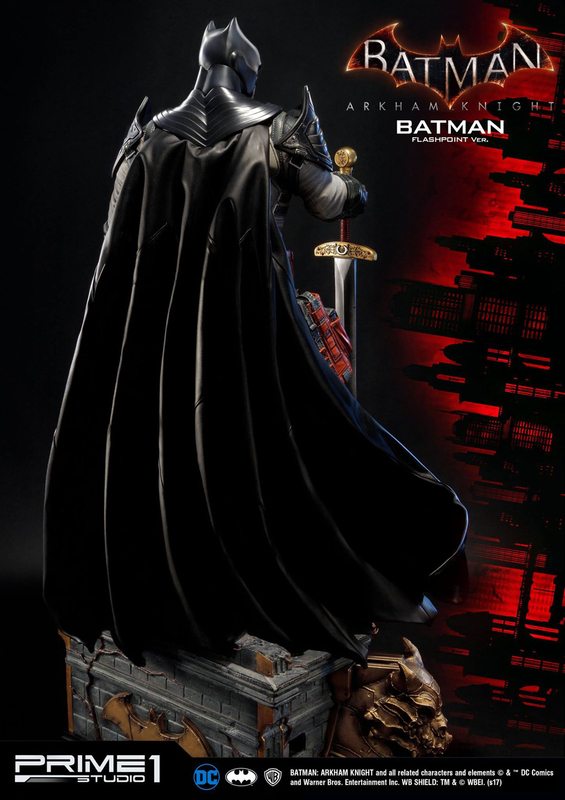 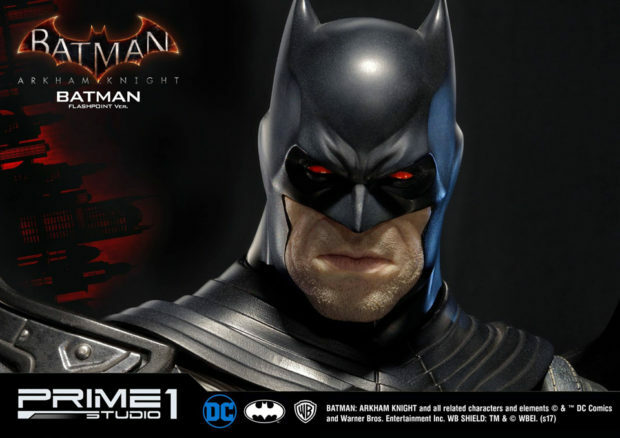 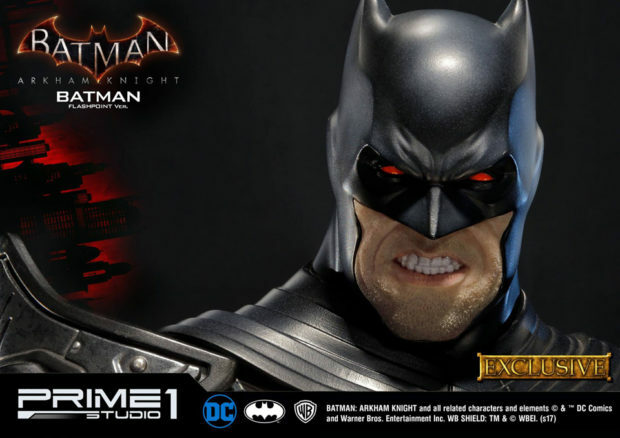 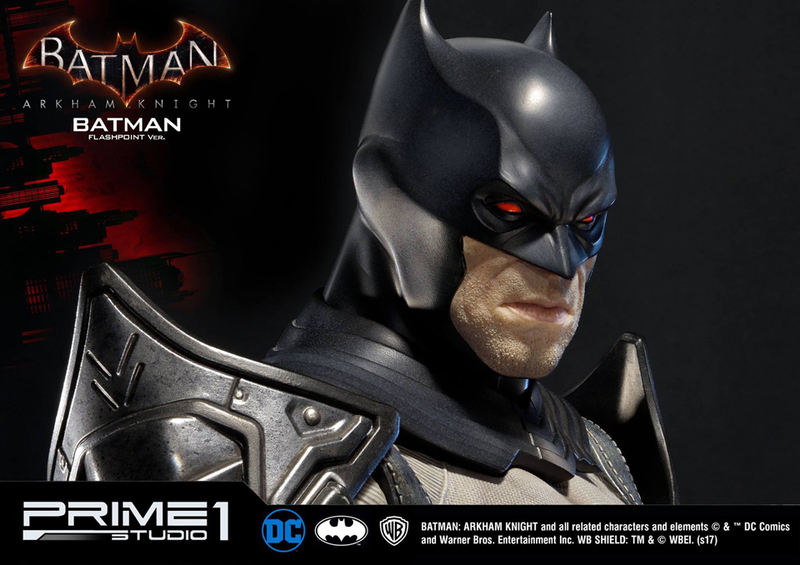 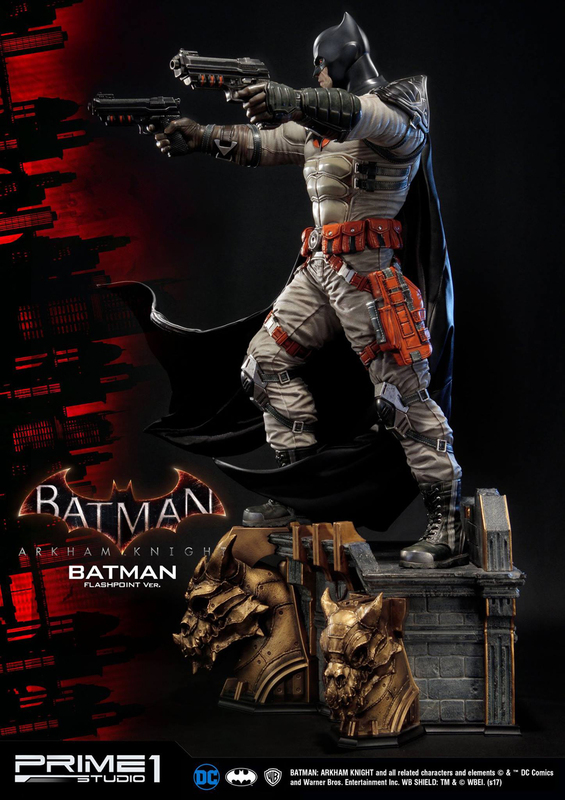 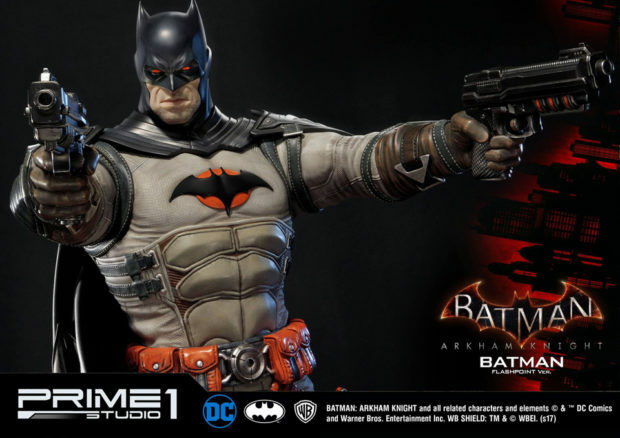 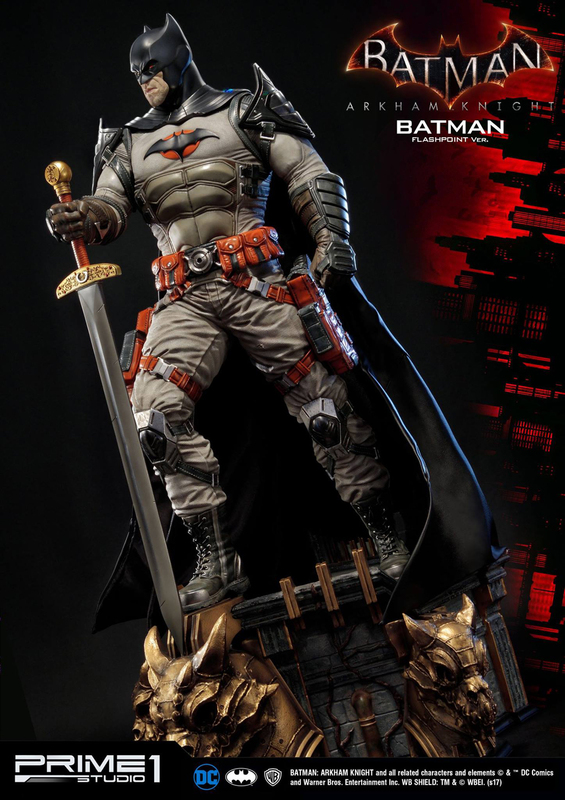 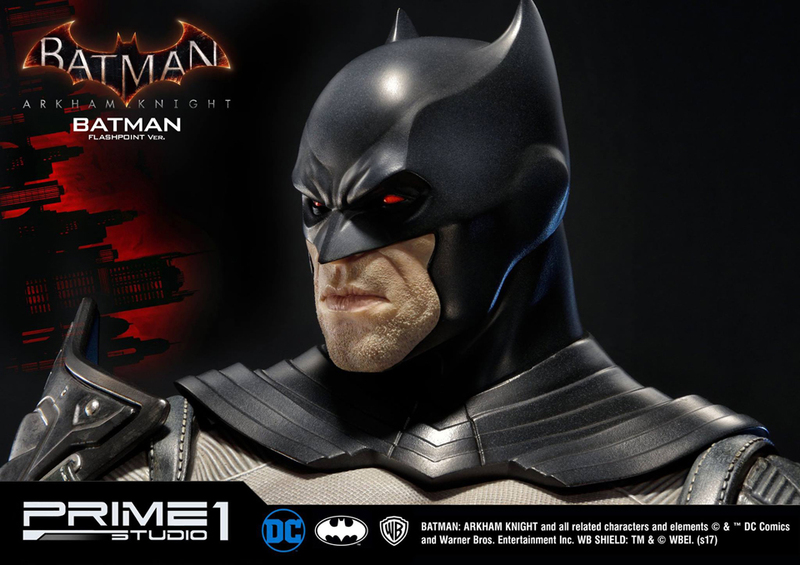 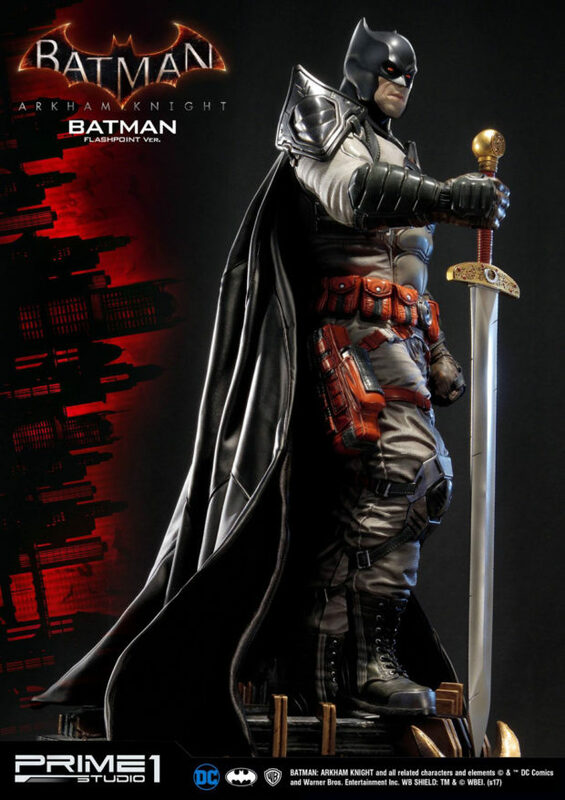 The company’s latest Batman: Arkham Knight merchandise is based on the game’s Flashpoint Batman costume, and boy did they make it look good enough to have its standalone game. 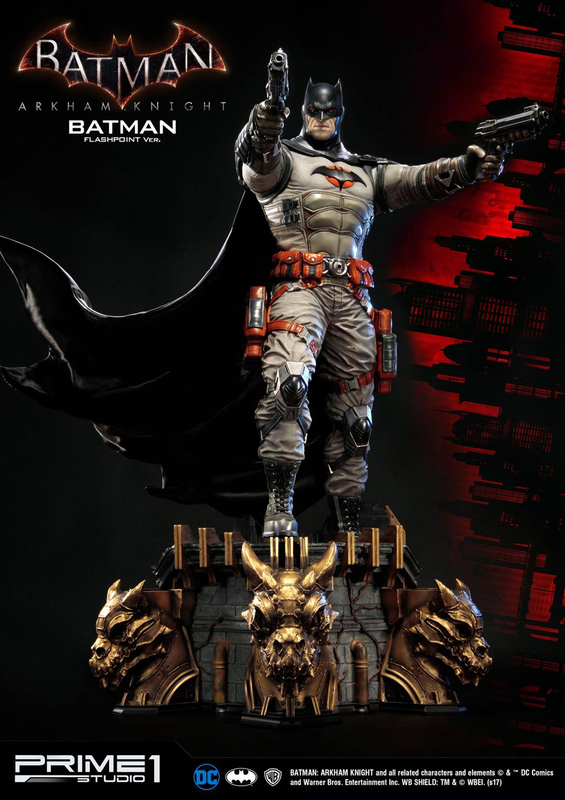 The urban soldier take on Thomas Wayne’s Batman looks ready to go toe-to-toe with the Punisher. The 33″ tall statue comes with a pair of arms with each hand holding a pistol, a right arm wielding a sword, a left arm with the fist balled up, and empty and full pistol holsters. 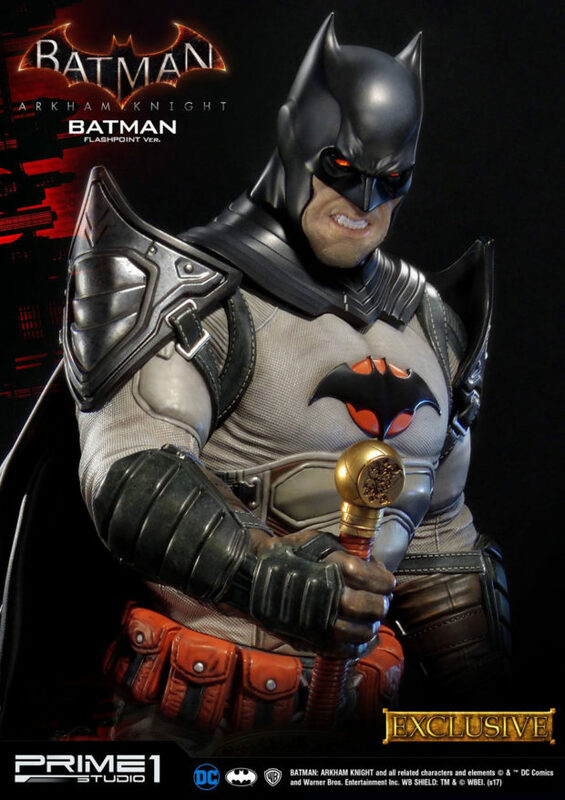 There’s also an exclusive version that comes a portrait bearing an angry expression. 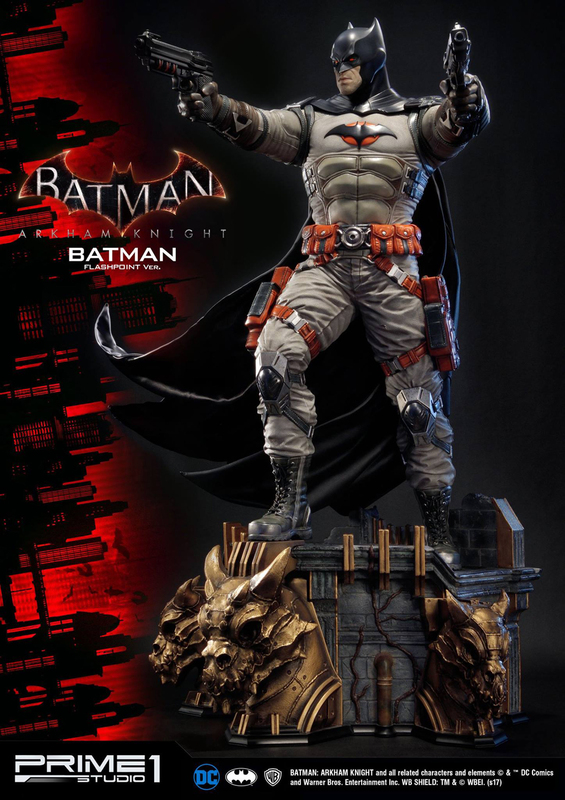 You can pre-order the statue from Sideshow Collectibles for $975 (USD).